Our goal it to repair and return your servo motor “good as new”! Every servo motor arriving at Electric Enterprise goes through a rigorous process. After all, our goal is to make your servo motor as “good as new”. A servo motor repair job starts with an extensive evaluation process. This is not only to find the problem with your servo motor, but also to be sure we can repair your old motor to “good as new” condition. We want your servo motor to work as if you just bought a new servo. After we have completed our servo motor evaluation, we check for old or defective parts that may no longer perform up to specifications. 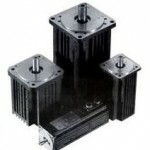 We have factory original data that we use to determine the best course of action to take repairing your servo motor. What parts need refurbishing or replacing? What parts are having a negative impact in the function of the machine? We leave nothing to chance. Your motor is thoroughly checked. After your servo motor is repaired and preliminary testing completed, the motors are reassembled. The final step in Electric Enterprise takes is to run your servo motor on a drive just like the one in your machine. This is to confirm your servo motor is now working correctly.